What should have been an easy win for Mercedes at a circuit the team have dominated in recent years descended into disaster, when first Valtteri Bottas and then Lewis Hamilton retired with mechanical failures. Bottas, who started on pole, lost the lead going into the first corner. Hamilton led his teammate with Max Verstappen and Kimi Raikkonen giving chase behind. On lap 14, Bottas was out with hydraulic failure, and the virtual safety car was deployed. Hamilton was the only front-runner not to pit, and while the Briton was attempting to make up places on track his car refused to play ball. A loss of fuel pressure saw the championship leader out of the race - and out of the lead of the title fight - on lap 63. Birthday boy Daniel Ricciardo, who turned 29 on race day, had little to celebrate, having retired from a race his Red Bull was fast enough to win. The Australian began complaining of blistering tyres very early on, following a hard push that put Ricciardo ahead of Raikkonen and in third place following a dramatic overtake at Turn 4 on lap 21, when the Red Bull driver was still fresh from a lap 15 pit stop. Before the race was half run, Ricciardo’s left rear tyre was more gouged than blistered, with a dramatic band running down the centre of the rubber that left the usually smiling Australian begging the team for fresh rubber. 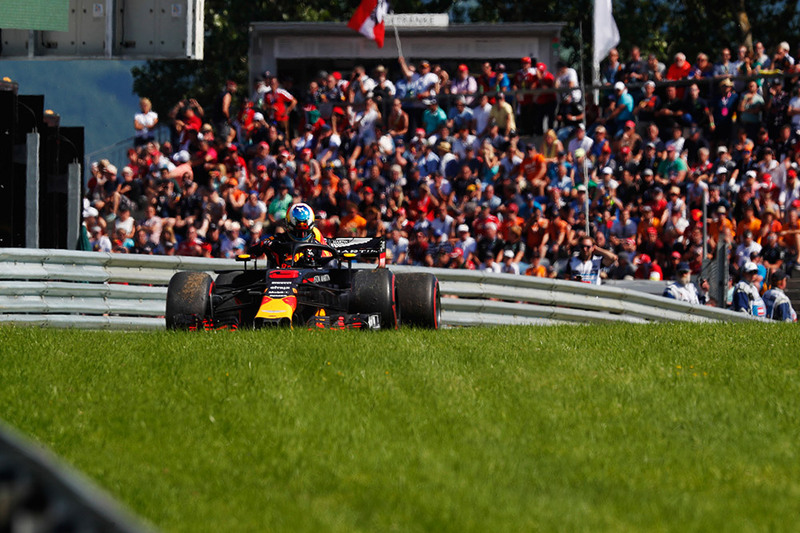 A second stop at the end of lap 38 should have given Ricciardo the chance to fight back on track, but on lap 54 the birthday boy was stopped at Turn 1, with a series of problems at the rear of the car culminating in gearbox failure. 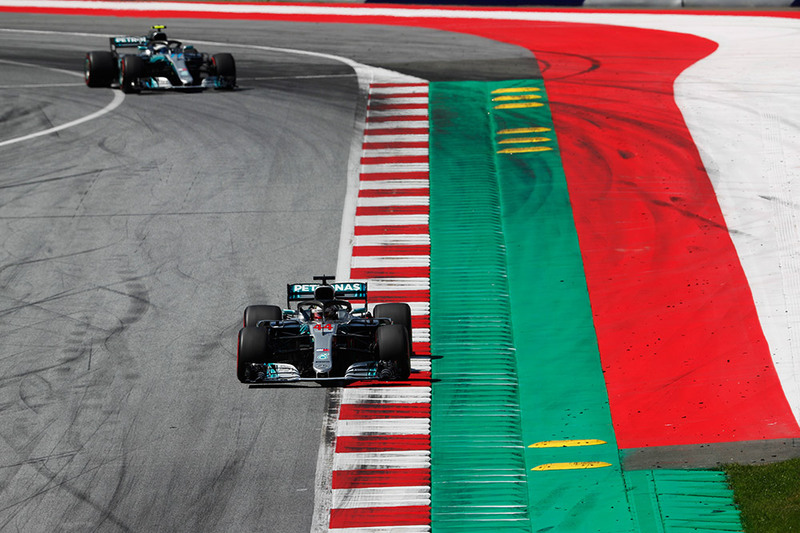 That the Red Bull Ring had only ever seen victory for Mercedes since F1’s return to the circuit in 2014 was something of an embarrassment for Red Bull Racing. 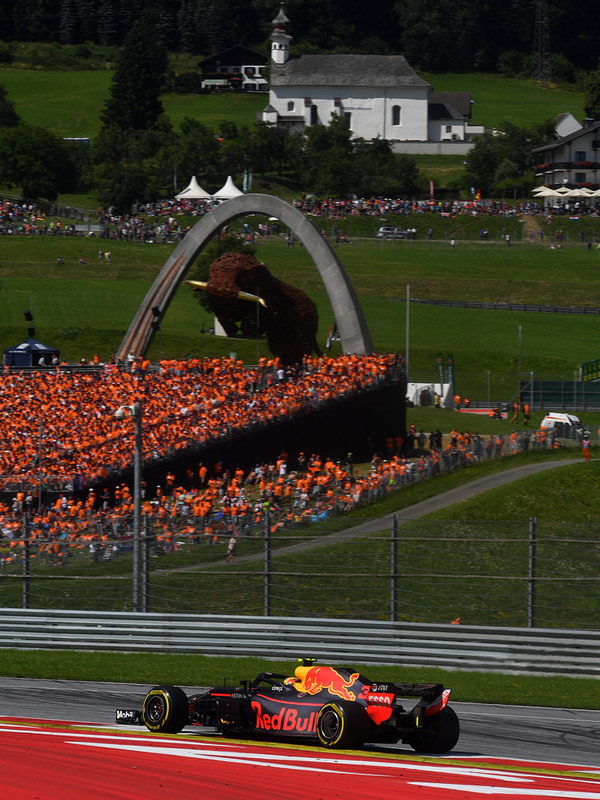 That embarrassment came to an end on Sunday afternoon, when Max Verstappen delivered his team with the home grand prix win they had been waiting for - in front of a crowd of an estimated 20,000 Dutch fans clad in orange to support their hero. As his on-track rivals struggled with high levels of tyre degradation and serious blistering, the F1 ingénue drove a calm and controlled race, leading the pack from the early virtual safety car to the chequered flag, feeling no pressure at all from the champions breathing down his neck at the end.